Free Shipping available for Standard Ground Shipping only by USPS. Estimated arrival in 2-7 business days. If your card requires expedited delivery or if you have any other questions, please call 727-383-5084 for delivery options, pricing and more information. 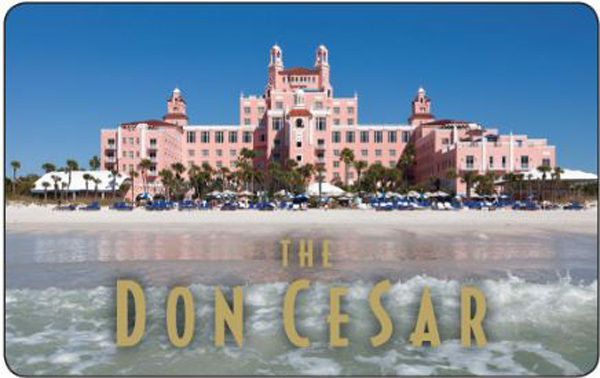 Receive specials and stay up to date with what is happening at The Don CeSar Shop. ©	2018-2019 Don CeSar Shop. All Rights Reserved.